World Water Day is about taking action to tackle the water crisis. Each year World Water Day has a theme and this year the theme is wastewater. Throughout the world, the vast majority of all the wastewater from our homes, cities, industry and agriculture flows back to the land without being treated or reused. According to UN-Water, the organisers of World Water Day, this causes great concern as it is polluting the environment, and losing valuable nutrients and other recoverable materials. The campaign is aimed at raising awareness about the fact that instead of wasting wastewater, we should reduce and reuse it. In our homes, we can reuse waste water from baths, sinks, washing machines, and other kitchen appliances on our gardens. In our cities, we can treat and reuse wastewater for green spaces. In industry and agriculture, we can treat and recycle discharge for things like cooling systems and irrigation. The campaign believes that by exploiting this valuable resource, we will make the water cycle work better and increase water recycling and safe reuse. The United Nations World Water Development Report 2017, ‘Wastewater, The Untapped Resource’ will be presented around the world on 22 March. You can download the World Water Day Factsheet here and visit www.worldwaterday.org to learn more. 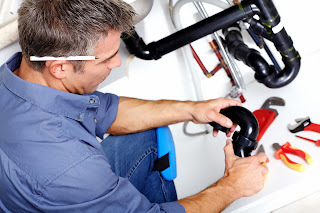 If you need a local and reliable plumber, use www.FindAQualityPlumber.co.uk to source a qualified APHC member.